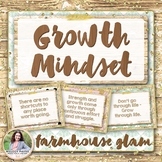 A fun inspirational play-on words. Download now! Students solve the multiplication / division facts and use the key at the bottom to solve the Mystery Message. The Mystery Message makes reference to a type of candy. As a reward for completing the worksheet, you can distribute the candy revealed to students who complete the worksheet successfully. 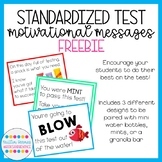 Candy Grams - Motivate your students for their tests! 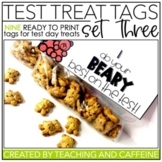 Motivate your students for their standardized tests (or any test) with these fun CANDY GRAMS! 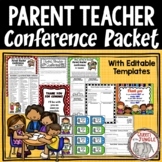 Just print on cardstock, laminate, cut, and attach candy! 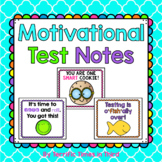 Includes: Do your best, SMARTIE! It's CRUNCH time! You were MINT to succeed! 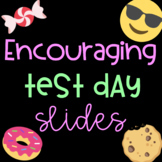 BLOW this test out of the water! Enjoy! 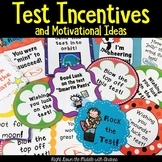 Test Motivator Candies!!! "You were MINT to succeed!" I print these on Avery 5160 labels. 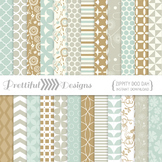 These are 30 qty label sheets. 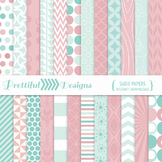 Each Label measures 1" x 2 5/8"
In this package, you will find 5 ready to print desk gifts. The only thing you need to do is make a quick trip to your local dollar store to match the prints. 1. You were "mint" to succeed. ( Mints) 2. You're going to blow this test away! ( Bubble gum) 3. Mistakes Happen, It's Okay. ( erasers) 4. 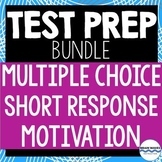 Test Prep BUNDLE! 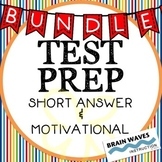 - Short Answer Questions and Motivation!